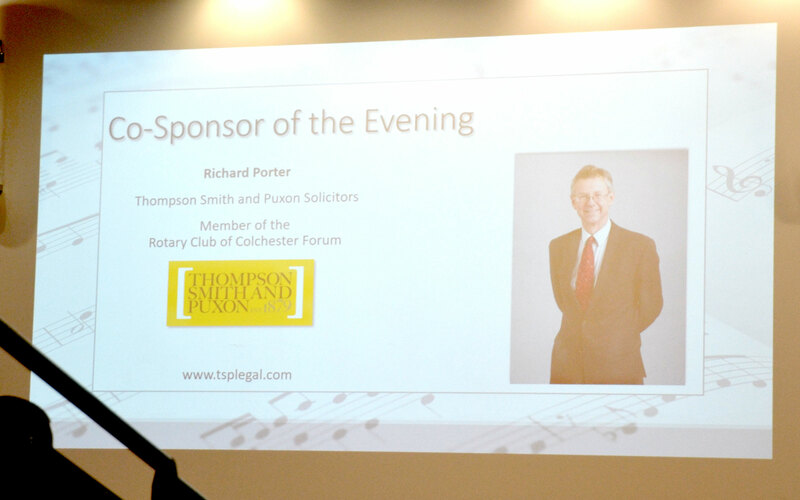 Thompson Smith and Puxon (TSP) Solicitors was pleased to once again jointly sponsor the Colchester Forum Rotary Club’s fifth annual Junior Choir competition with Colchester McDonald’s. This year the competition was jointly organised by the Rotary Club and TSP representatives Sean Stuttaford and Nicola Crisell. 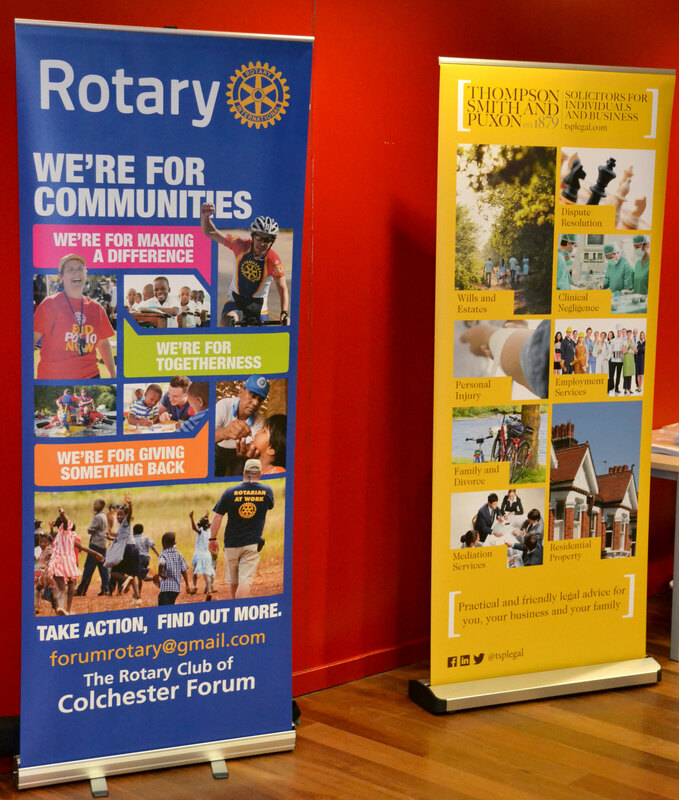 Sadly in the lead up to this year’s competition Cas Morehen, the Rotary Club of Colchester Forum President, passed away. Cas was leading the organisation of the Junior Choir Competition so the evening was held in memory of Cas and as a tribute to his contribution to the Rotary Club. 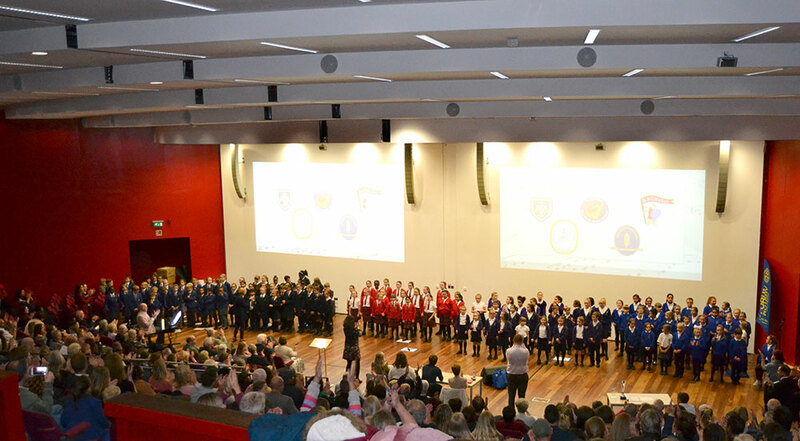 The 2018 competition featured eleven choirs from primary and junior schools in Colchester and the surrounding area. A total of 350 children took part with schools from Colchester, Tiptree, Ardleigh, Great Horkesley and West Bergholt featuring. There were 3 heats, which took place in early November, with the adjudicators awarding marks to each choir. 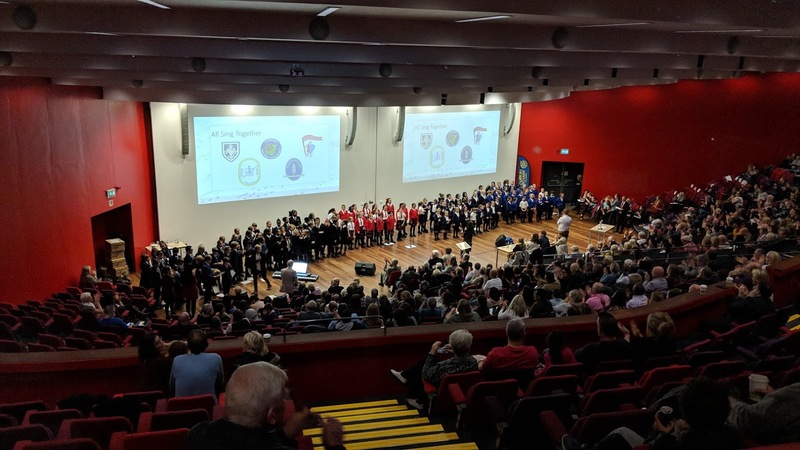 The top five choirs then went through to the final which took place on the evening of 14th November at the Ivor Crewe Lecture Theatre at the University of Essex. Each choir sang a set song, which this year was “The Last Dinosaur” by Lin Marsh, allowing the adjudicators to compare each choir on a like for like basis. Each choir then had the opportunity to sing a song of their own choice. 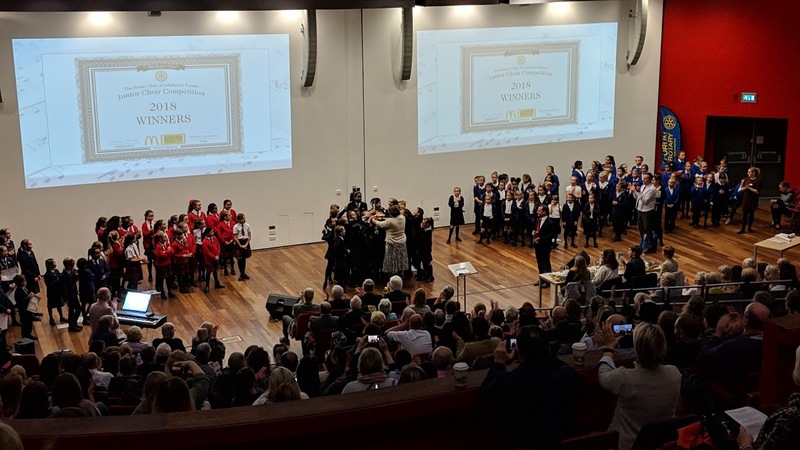 Choirs from the following schools made it through to the final: St George’s New Town, Bishop William Ward, Baynards Tiptree, Colchester High School and St Thomas More’s Catholic Primary. 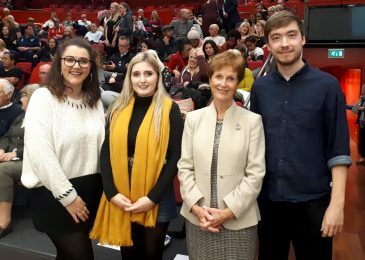 The adjudicators, Bailey Gordon, Stephanie Laine, Monica Thomas and Thomas Holt (pictured above left to right) had a very tough job choosing a winner as all of the finalists sang to a very high standard. Almost 700 parents and supporters were packed into the auditorium. 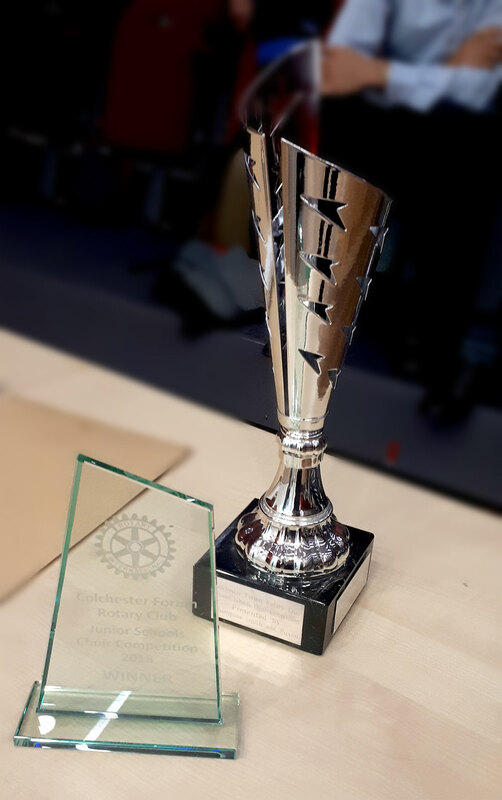 Also in attendance was Mrs Bonnie Hill, Her Majesty’s Deputy-Lieutenant of Essex, who presented the winning choir with their trophy, Charni Peck, representing McDonald’s Colchester, Richard Porter from Thompson Smith and Puxon and the former Rotary President Peter Powell. 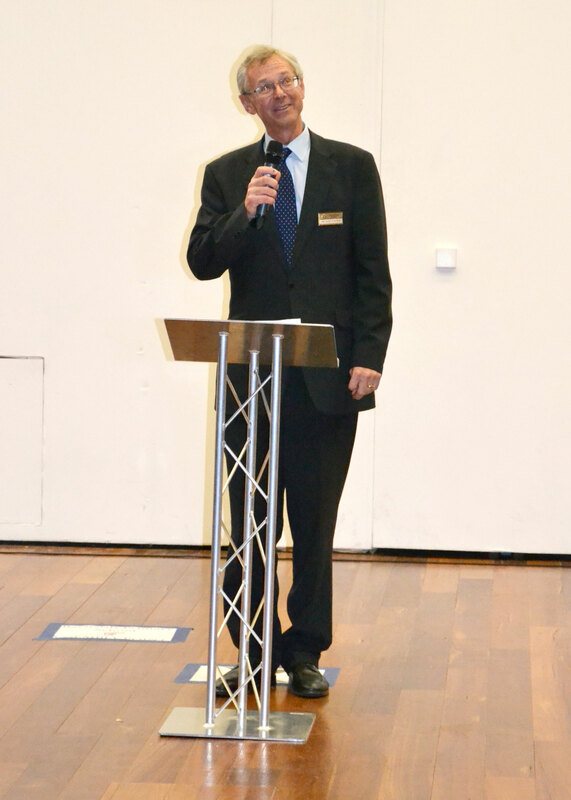 TSP Chief Operating Officer Sean Stuttaford was the Master of Ceremonies for the evening. Before the winners of the competition were announced all choirs joined together for one final performance of the set song ‘The Last Dinosaur’, a wonderful way to finish the evening! 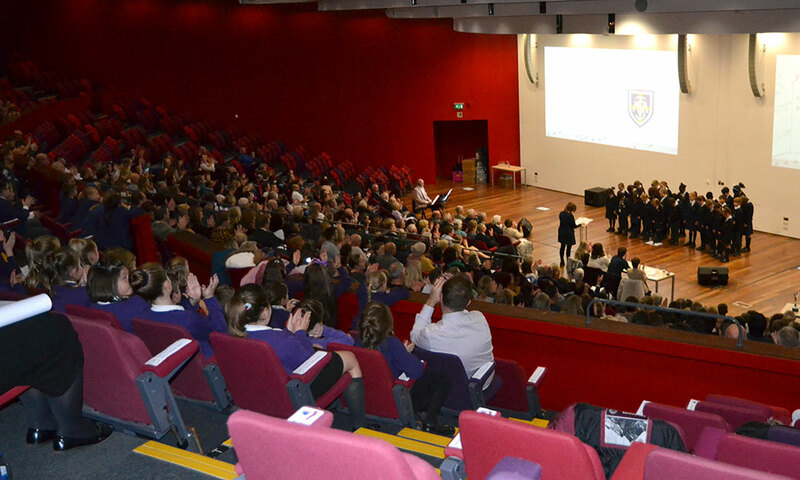 There was then a tingle of excitement in the air as the winning choir was announced. Congratulations to St Thomas More’s Primary School who were crowned as winners for the second year running! A copy of the programme for the final can be downloaded here. 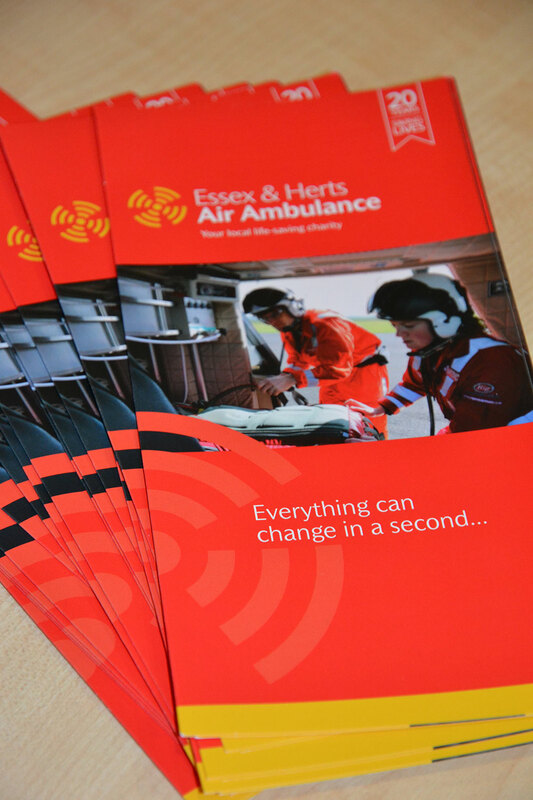 Collections were held at the heats and at the final in aid of Essex and Herts Air Ambulance, Cas’ chosen charity. Overall £660 was raised. Thank you to everyone who donated. 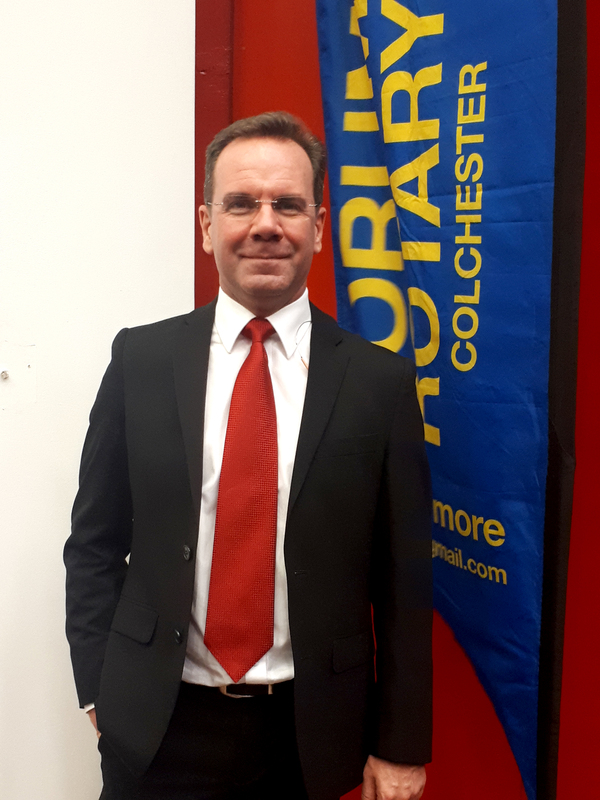 TSP Director, Richard Porter (pictured), is a longstanding member of the Club and regularly attends their weekly lunch meetings at Best Western Rose and Crown Hotel, East Gates. You can find out more about the club, when and where they meet and how to join here. A selection of photos from the evening are shown below. The fantastic choirs awaiting the result. St Thomas More’s Catholic Primary receiving their trophy!